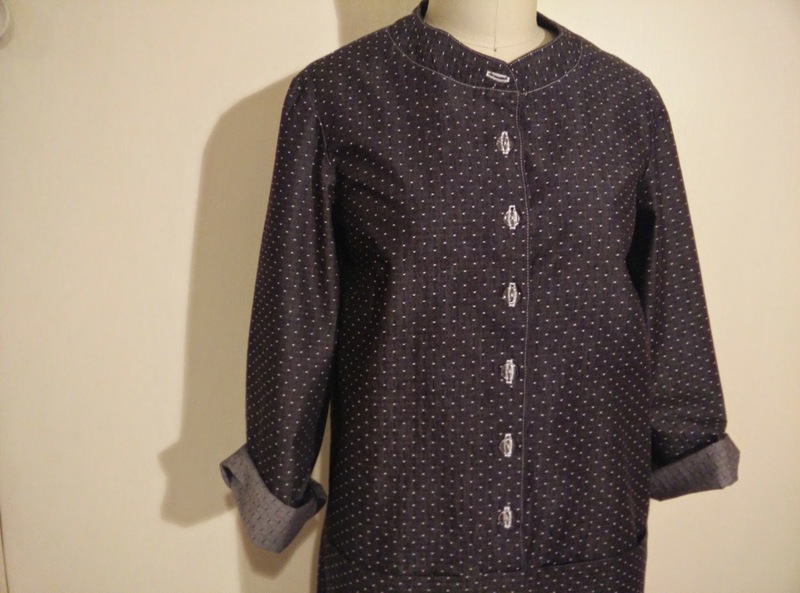 Once I saw this Union Dress pattern from Merchant & Mills, I knew it would be the perfect project for the dotted chambray I got during the fall Bolt sale. 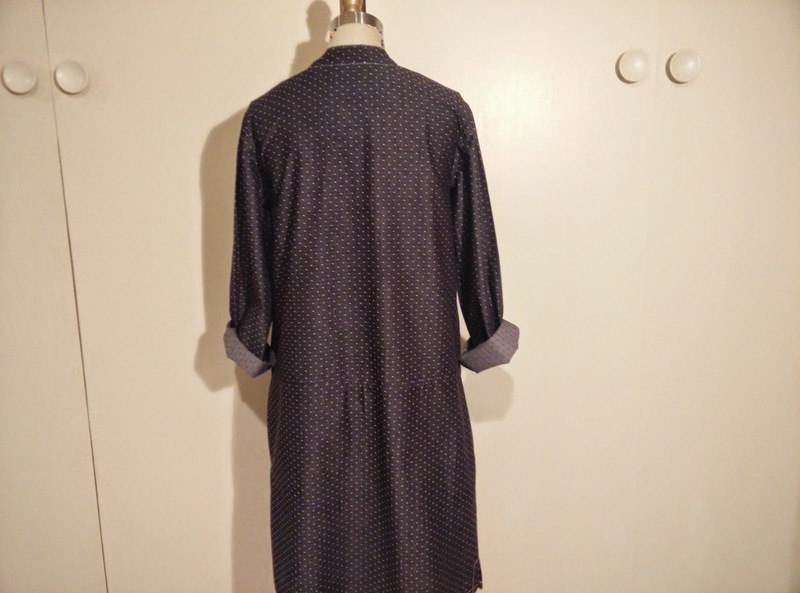 The pattern was not available at any local shops, so I purchased it online from The Workroom. 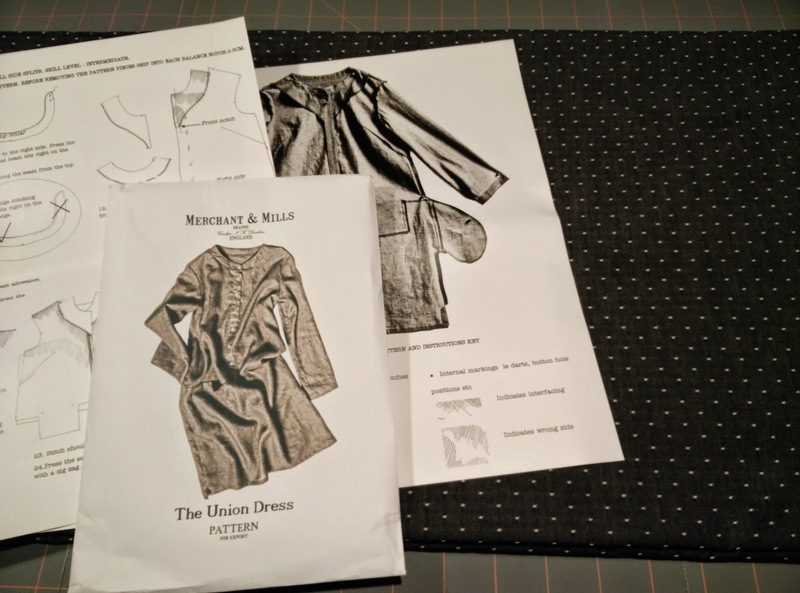 I've made a couple of other Merchant & Mills patterns and really find that their directions are very easy to follow, though intermediate skills are required for this particular project. 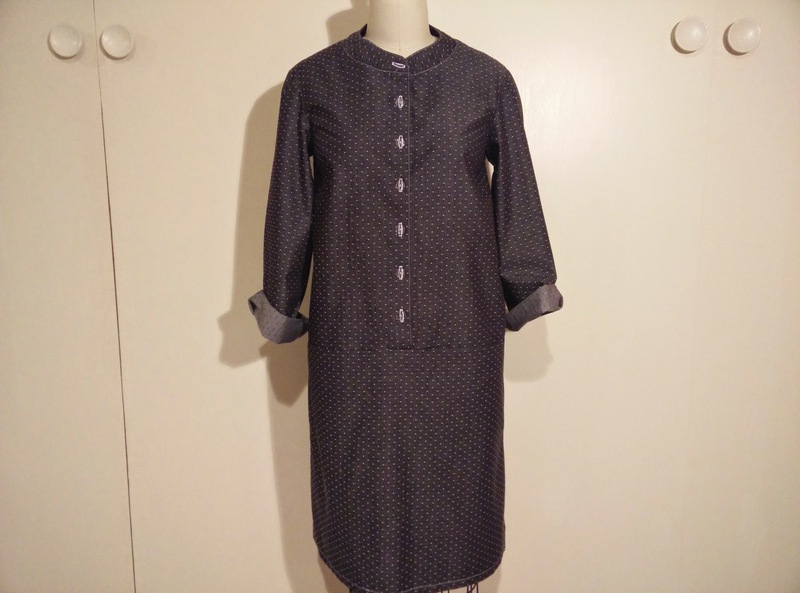 Similar to the Factory Dress, this dress is another nod to traditional workwear. 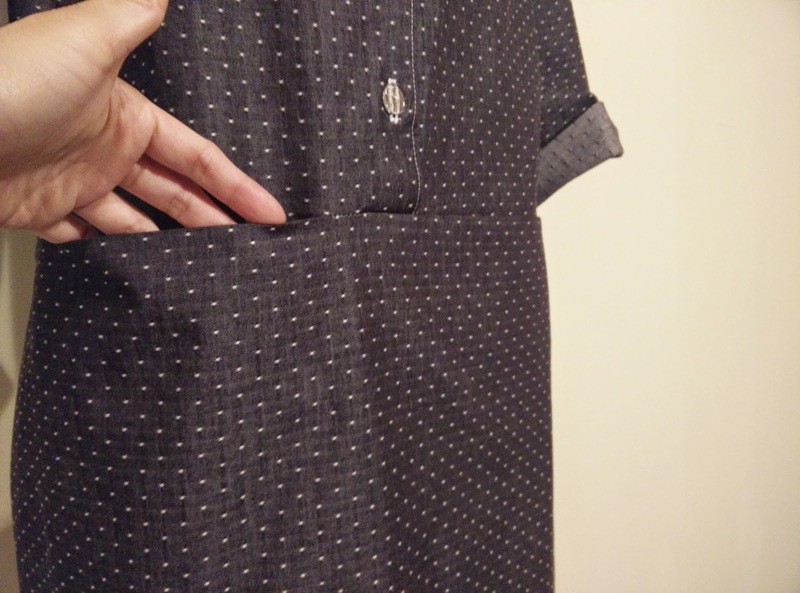 It has a straight silhouette with a Henley-style neck and button placket and long straight sleeves. 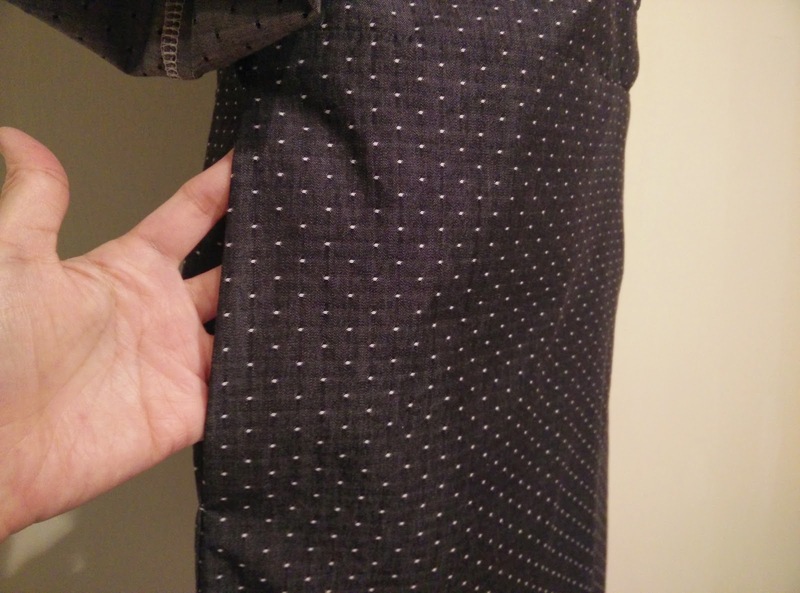 My favorite details are the four pockets!–side seam and front in-seam–and the side slits. 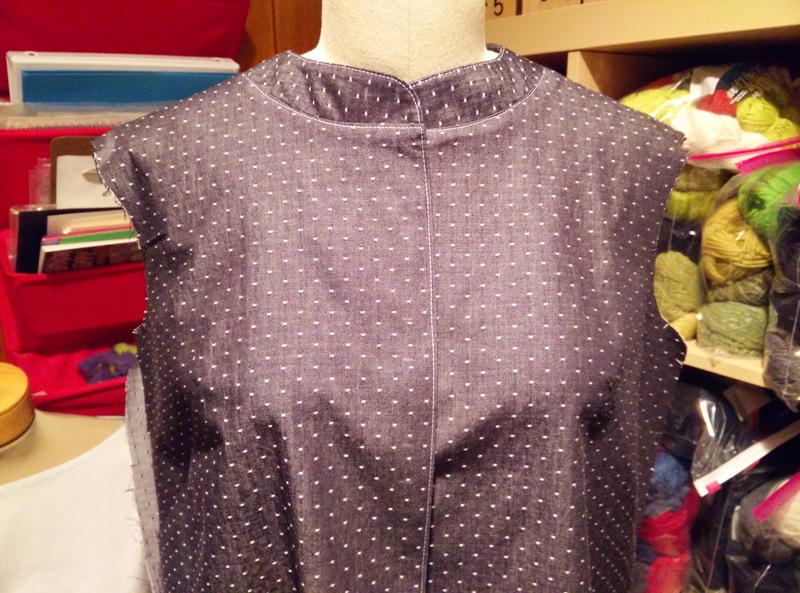 I made no modifications to the pattern and made the smallest size, which fits perfectly. I had a hard time selecting buttons and ended up choosing some clear ones. 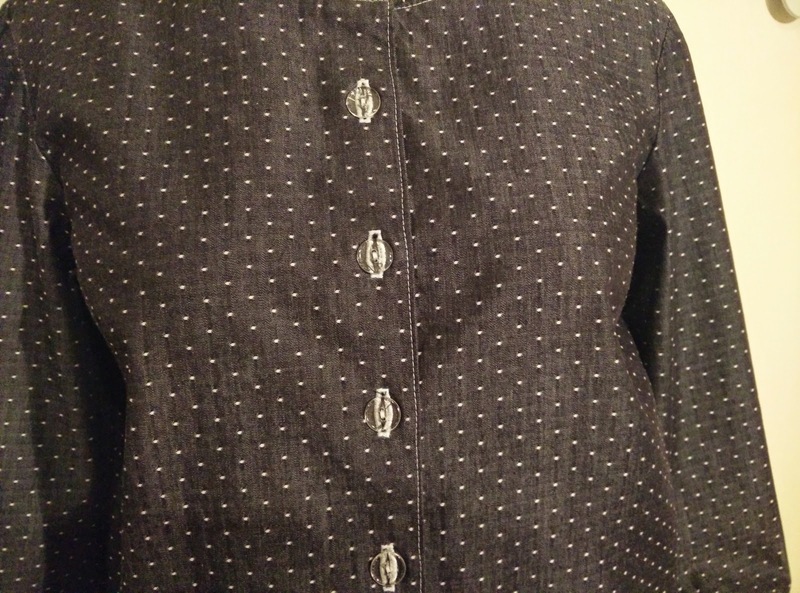 It would be fun to use a contrasting fabric for the top or bottom for a unique look. 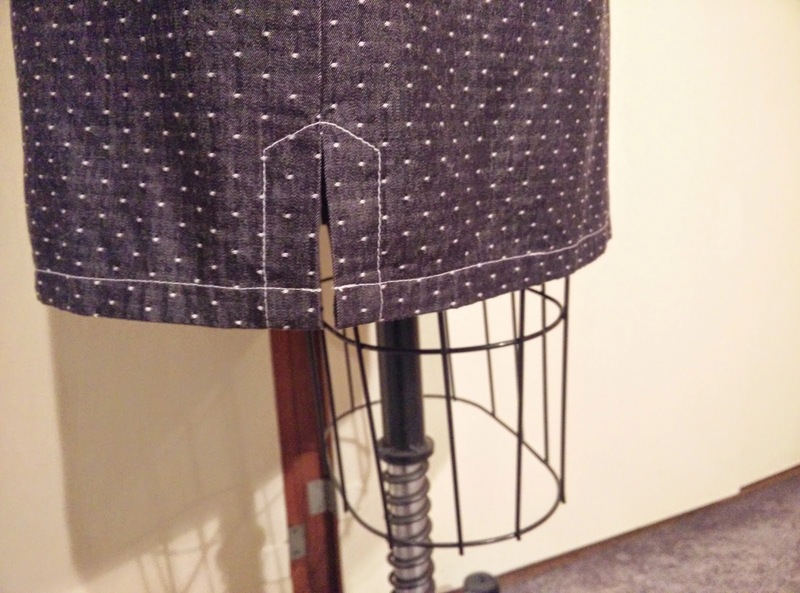 You could also hack the pattern by leaving off the skirt and then you'd have just a Henley-style shirt that included the front pockets. Fun project! 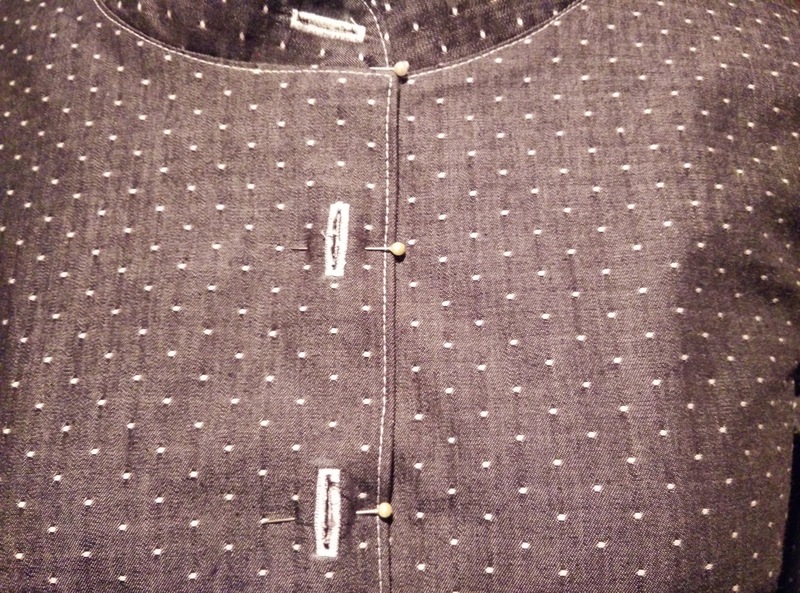 I'm writting you for Point of view vest. I don't manage to find it in France; would you accept to share your's ?